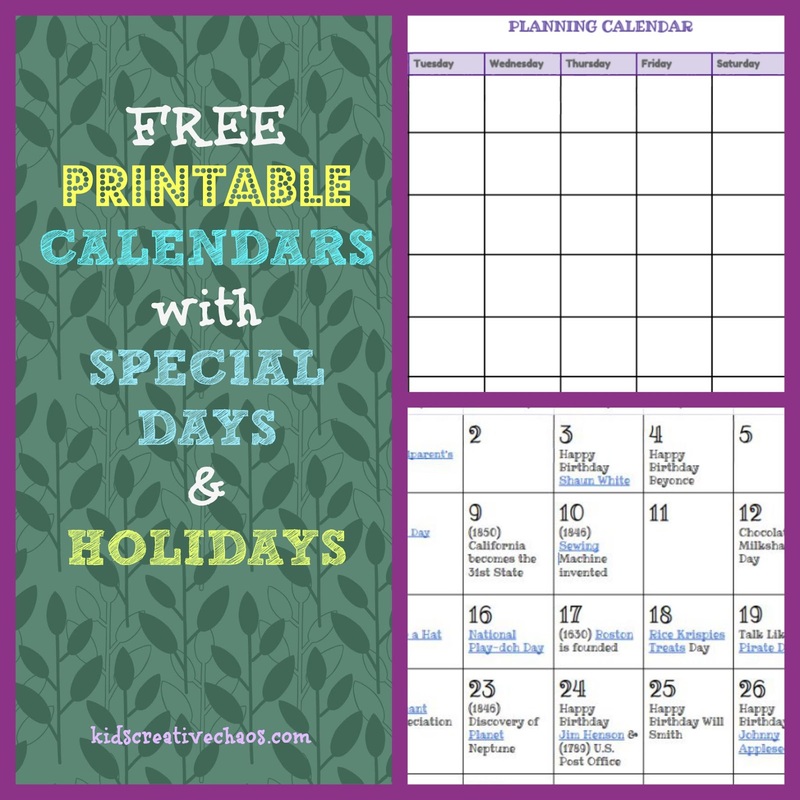 These free printable monthly calendar (s) with holidays and special days are updated every month. Check back for the latest version. Once you have the link, you can save a copy, and edit it to add your own special days or birthdays. Enjoy! Free Printable Monthly Calendar with Holidays 2017.